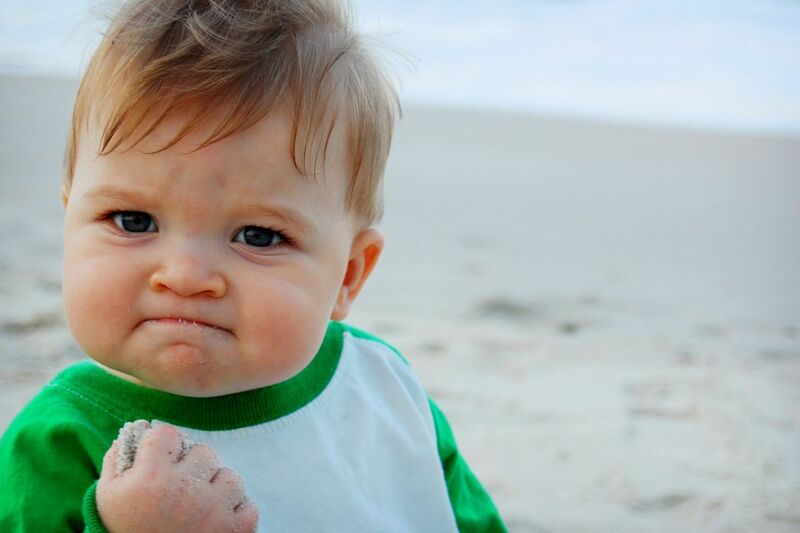 Ready to feel like this kid when you dive into the real estate process? It's time for you to OWN real estate. Pun intended. We'll admit real estate can seem scary. There are so many questions to ask. So much paperwork to sign. Little things that seemingly turn into big things faster than you can unlock your home’s front door. The point is, real estate doesn’t have to be so scary. Sure, there’s a lot to consider. That's why we’ve broken it down by creating a step-by-step guide to conquering each and every real estate fear you have. From selling your current home to finding your dream home and everything in between, our latest e-guide will help you conquer real estate and live the life in the home you’ve always wanted. Below is a preview, but if you want to skip right to the good stuff, you can check out the full e-guide here. #1: "How am I ever going to sell my home for the highest price imaginable?" How is the market looking? How does your property compete against it? What makes your property stand out? Once you can assess and tackle these three things, you’ll be on your way to selling for the best price possible (what’s so scary about that?!). #2: "How do I sell my home in the quickest way possible?" Make sure that your home is actually ready to be sold - decluttered, cleaned, etc. Knowledge nugget for you: your property's first two weeks on the market are the most crucial time of the sale. If you want it sold quick, don’t list it until you’re 110% ready to do so. #3: "Are these upgrades REALLY necessary?!" Be open to suggestions from third parties and your prospective buyers. Think of these as steps in the direction of doing everything you can to get your home sold. We hope these quick tips helped simmer a few of your fears. If not, there's plenty more on how to own all your real estate conundrums in our free, no strings attached e-guide.